Grafana offers great dashboarding capabilities, rich visualizations, and integrations with over 40 data sources. Grafana integration is now available in preview for Microsoft Azure Monitor logs. This integration is achieved through the new Log Analytics plugin, now available as part of the Azure Monitor data source. If you’re already using Grafana for your dashboards, this new plugin can help you create a single pane of glass for your various monitoring needs. The new plugin enables you to display any data available in Log Analytics, such as logs related to virtual machine performance, security, Azure Active Directory which has recently integrated with Log Analytics, and many other log types including custom logs. Support for HDInsight in Microsoft Azure CLI is now available in public preview. With the addition of the new HDInsight command group, you can now utilize all of the features and benefits that come with the familiar cross-platform Azure CLI to manage your HDInsight clusters.With the addition of the new HDInsight command group, you can now utilize all of the features and benefits that come with the familiar cross-platform Azure CLI to manage your HDInsight clusters. Azure HDInsight is an easy, cost-effective, enterprise-grade service for open source analytics that enables customers to easily run popular open source frameworks including Apache Hadoop, Spark, Kafka, and others. This month we’re bringing you updates that improve the ease of navigation of the landing page, add to dashboard tile features, and increase functionality in Azure Container Instances. 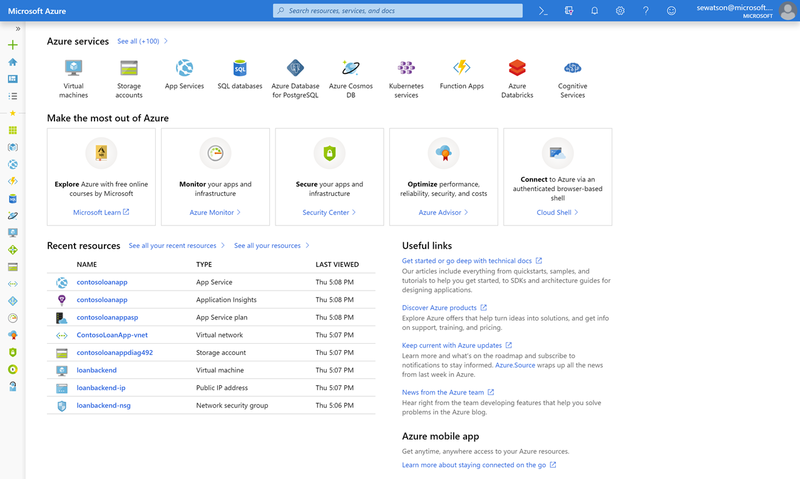 The new Azure portal home page is a quick and easy entry point into Azure, and includes a link to Azure.Source to help you keep current with what’s new in Azure. With the Azure portal, you can test features in preview by visiting preview.portal.azure.com. Get a recap of the top 10 Azure AI highlights from 2018, across AI Services, tools and frameworks, and infrastructure at a glance. AI catalyzes digital transformation. Microsoft believes in making AI accessible so that developers, data scientists and enterprises can build systems that augment human ingenuity to tackle meaningful challenges. AI is the new normal. Microsoft has more than 20 years of AI research applied to our products and services. Everyone can now access this AI through simple, yet powerful productivity tools such as Excel and Power BI. In continual support of bringing AI to all, Microsoft introduced new AI capabilities for Power BI. These features enable all Power BI users to discover hidden, actionable insights in their data and drive better business outcomes with easy-to-use AI. At Microsoft, with the end of support for 2008 servers looming, we’ve been thinking about how we can help you with your server refresh journey. we believe that the 3 reasons why Azure is the best place to transform your 2008 server applications are: security, innovation, and cost savings. The end of support for SQL Server 2008/R2 is now less than six months away on July 9th, 2019 and support ends for Windows Server 2008/R2 on January 14th, 2020. Windows 7, Office 2010 and Exchange Server are also ending their extended support soon. Microsoft and our partners are here to help you in every step of the way. Microsoft helps organizations all over the world comply with national, regional, and industry-specific regulatory requirements. The K-ISMS certification was introduced by the Korea Internet and Security Agency (KISA) and is designed to ensure the security and privacy of data in the region through a stringent set of control requirements. Achieving this certification means Azure customers in South Korea can more easily demonstrate adherence to local legal requirements for protection of key digital information assets and meet KISA compliance standards more easily. KISA established the K-ISMS to safeguard the information technology infrastructure within Korea. This helps organizations implement and operate information security management systems that facilitate effective risk management and enable them to apply best practice security measures. Learn more about the Azure Backup for SQL Server on Azure backup capability, which was made available in June, 2018 in public preview. This workload backup capability is built as an infrastructure-less, Pay as You Go (PAYG) service that leverages native SQL backup and restore APIs to provide a comprehensive solution to backup SQL servers running in Azure IaaS VMs. Azure Backup protects the data in your VMs by safely storing it in your Recovery Services Vault. Backup of SQL Servers running inside an Azure VM requires the backup extension to communicate with the Azure Backup service in order to upload backup and emit monitoring information. Azure Backup and Azure Firewall complement each other well to provide a complete protection to your resources and data in Azure. Automatic device management in Azure IoT Hub automates many of the repetitive and complex tasks of managing large device fleets over the entirety of their lifecycles. The Azure IoT DevKit over-the-air (OTA) firmware update project is a great implementation of automatic device management. With automatic device management, you can target a set of devices based on their properties, define a desired configuration, and let IoT Hub update devices whenever they come into scope. This post highlights some of the ways you can kickstart your own implementation of the firmware update use case. As one of Microsoft’s AI Lab projects, Pix2Story is a neural-storyteller web application on Azure that enables you to upload a picture and get a machine-generated story based on several literature genres. The idea is to obtain the captions from the uploaded picture and feed them to the Recurrent Neural Network model to generate the narrative based on the genre and the picture. Source code is available in GitHub so that you can train your own model. Grafana is a leading open source software designed for visualizing time series analytics. It is an analytics and metrics platform that enables you to query and visualize data and create and share dashboards based on those visualizations. Combining Grafana’s beautiful visualizations with Azure Data Explorer’s snappy ad hoc queries over massive amounts of data, creates impressive usage potential. This post depicts the benefits of using Grafana for building dashboards on top of your Azure Data Explorer datasets. The Grafana and Azure Data Explorer teams have created a dedicated plugin which enables you to connect to and visualize data from Azure Data Explorer using its intuitive and powerful Kusto Query Language. Additional connectors and plugins to analytics tools and services will be added in the weeks to come. John Kozell, a Principal Consultant at Microsoft and an expert in all things Azure Cosmos DB, especially when it comes to the Enterprise world. He gives us some unique perspectives on what Enterprises should do in order to make effective use of Azure Cosmos DB to and also meet their compliance and operational goals. In this episode, we dive into some of the new features available in Workbench 1.6, such as application versioning and troubleshooting. Learn about how to send a message to your Microsoft Teams channel when a rule is fired in your IoT Central app using Microsoft Flow. We'll cover what is Microsoft Flow, and go through how to build workflows easily using the hundreds of connectors available. In this video we will talk about our new capability that allows developers to deploy some of our cognitive services as containers. Get ready for the intelligent edge. Process data in the cloud or on device at the edge, the choice is yours. Armon Dadgar (@armon), HashiCorp CTO and co-founder joins Aaron Schlesinger (@arschles) to school him on all things service meshes. You'll understand what a service mesh actually does, when and why it makes sense to use them, the role of observability, and the differences between data planes and control planes (and what's relevant to app developers). Armon makes concepts real with specific examples and analogies, Aaron sees how to easily apply it to his favorite project (Kubernetes, of course) and they sign off with their favorite resources, so you can apply to your apps. HashiCorp Consul is a distributed service mesh to connect, secure, and configure services across any runtime platform and public or private cloud. In this episode, Scott Hanselman is joined by HashiCorp's Geoffrey Grossenbach who uses Helm to install a Consul server to Azure Kubernetes Service (AKS) cluster. Next, he deploys and secures a pair of microservices with Consul. Azure Functions is a serverless compute service that enables you to run code on-demand without having to explicitly provision or manage infrastructure. Using Azure Functions, you can run a script or piece of code in response to a variety of events. Azure Data Factory (ADF) is a managed data integration service in Azure that enables you to iteratively build, orchestrate, and monitor your Extract Transform Load (ETL) workflows. Azure Functions is now integrated with ADF, enabling you to run an Azure function as a step in your data factory pipelines. This week on Channel 9, Christina Warren is reliving the days of Tom from MySpace, while also breaking down the latest developer news. This week, James is joined by friend of the show Marc Mercuri, Program Manager on the Azure Blockchain Development Kit Team, who introduces us to the world of blockchain. He shows us a full end to end scenario of why and how you would use blockchain in applications. He then walks us through the new Azure Blockchain Development Kit that simplifies development using blockchain for web and mobile with some fantastic Xamarin mobile apps. 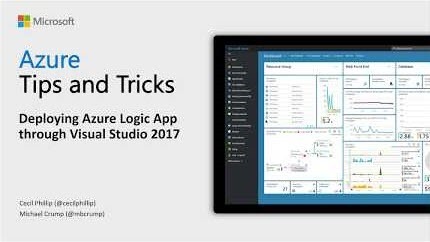 Learn how to deploy Azure Logic Apps from Visual Studio 2017 with just a few clicks. Once you've downloaded the Visual Studio extension, you can easily deploy your logic apps straight into the cloud. In today’s episode, Greg Leonardo, a Cloud Architect at Campus Management Corp. and Webonology, and Jeffrey Palermo discuss the components of Greg’s new book and dive deep into topics such as; architecture, app service environments, web apps, web jobs, Windows Containers, and more. Each month, the Cloud Commercial Communities hosts webinars and podcasts that cover core programs, updates, trends, and technologies that Microsoft partners and customers need to know so that they can increase success in using Microsoft Azure and Dynamics. Check out this post for information and links to three live webinars and several podcasts that are available this month, as well as recaps on webinars and podcasts from last month. The Azure Site Recovery (ASR) team will host a special Ask Me Anything (AMA) session on Twitter, Tuesday, January 22, 2019 from 8:30 AM to 10:00 AM Pacific Standard Time. You can tweet to @AzSiteRecovery or @AzureSupport with #ASR_AMA. With an AMA, you’ll get answers directly from the team and have a conversation with the people who build these products and services. Learn new ways to code, optimize your cloud infrastructure, and modernize your organization with deep technical training. Join us at the place where developers and tech professionals continue learning alongside experts. Explore the latest developer tools and cloud technologies and learn how to put your skills to work in new areas. 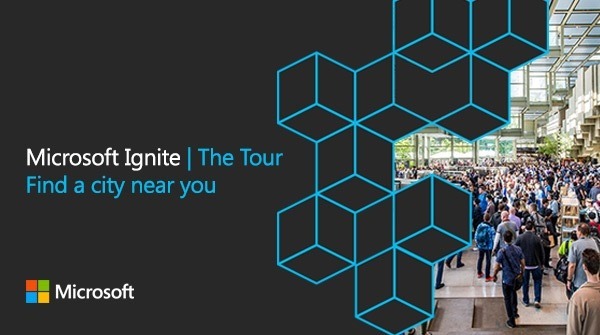 Connect with our community to gain practical insights and best practices on the future of cloud development, data, IT, and business intelligence. Find a city near you and register today. In February, the tour visits London, Sydney, Hong Kong, and Washington, DC. 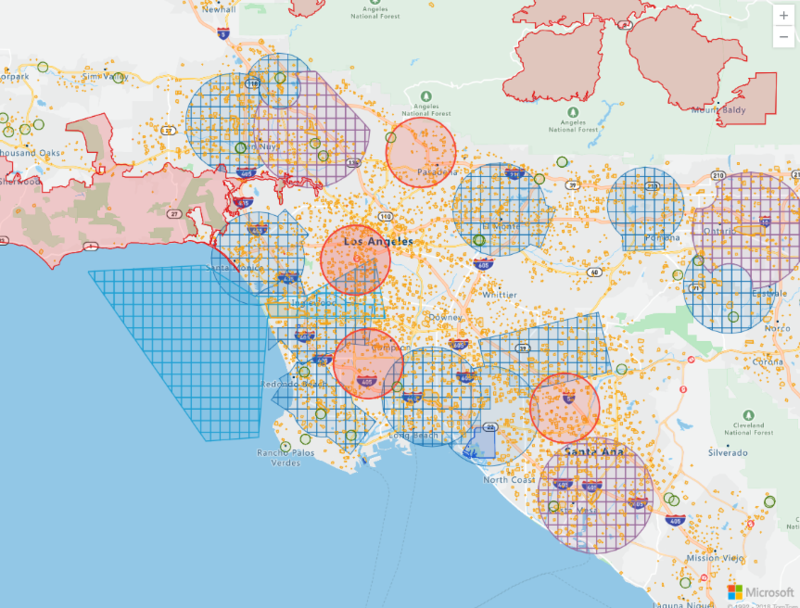 This post highlights a customer, AirMap, whose software solutions rely on Azure Maps for real-time location intelligence in a new frontier of technology called dynamic mission planning for drones. AirMap is the leading global airspace management platform for drones. AirMap’s Unmanned Traffic Management (UTM) platform enables the deployment and operations of safe, efficient, and advanced drone operations for enterprises and drone solution providers. The Azure Marketplace is the premier destination for all your software needs – certified and optimized to run on Azure. Find, try, purchase, and provision applications & services from hundreds of leading software providers. You can also connect with Gold and Silver Microsoft Cloud Competency partners to help your adoption of Azure. In the first half of December we published 60 new offers that successfully met the onboarding criteria. This time on Azure This Week, Lars talks about Azure Data Box Disk which is in general availability, new Azure Migrate and Azure Site Recovery enhancements for cloud migration and multi-modal topic inferencing with Azure Video Indexer.